"Say Hi! 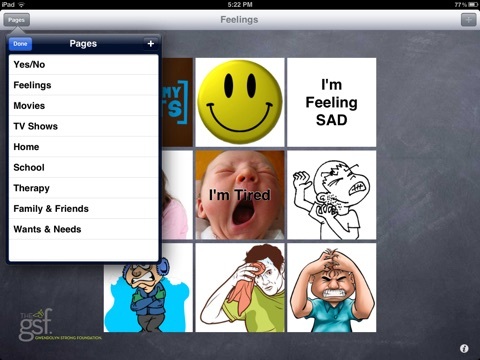 AAC" is an augmentative and alternative communication (AAC) and navigation iPad application that brings the world of basic communication to people with severe physical disabilities, limited movement, and/or challenged dexterity. 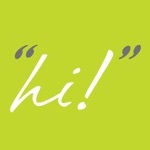 Install Say Hi! 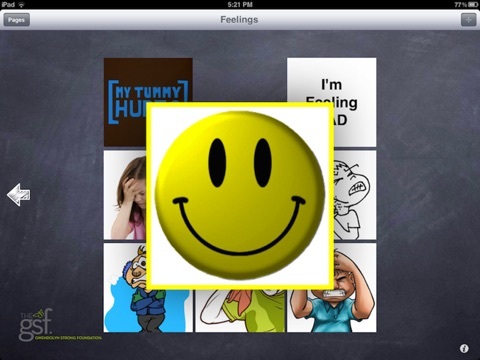 AAC on your iPad and create pages with groups of words or phrase boxes. 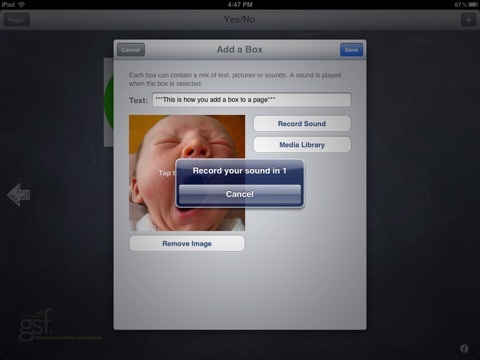 A page can contain up to nine boxes and a box can have any combination of words, phrases, pictures, or recorded sounds. 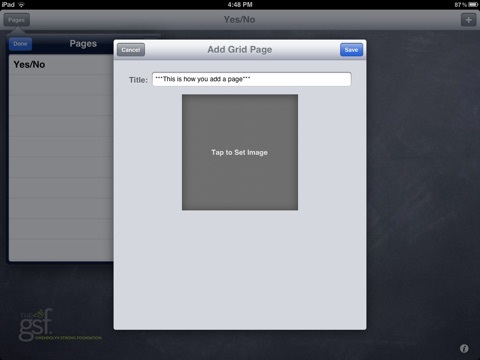 It's completely customizable to suit your specific needs or situation. Then, install Say Hi! 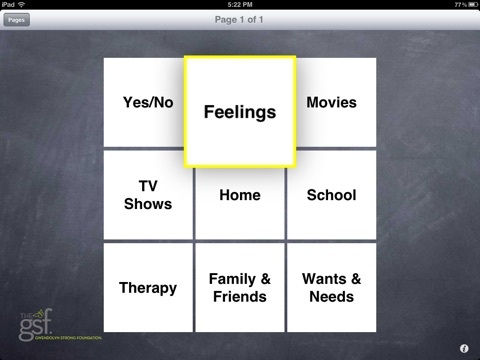 AAC on two additional iPod Touch or iPhone devices. 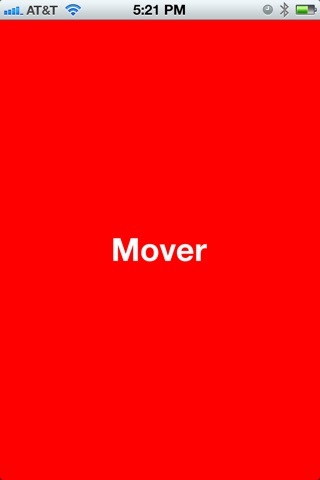 One device will act as the "mover" allowing the user to move between boxes. 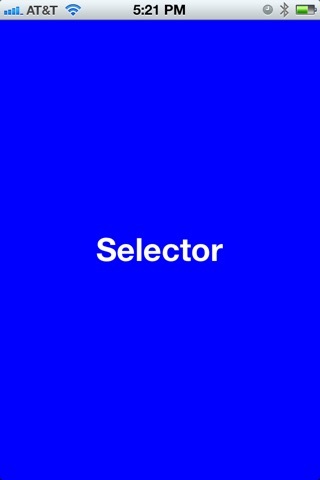 The other device will function as the "selector" allowing the user to select the desired box and "say" the associated word or phrase. Launch Say Hi! AAC on your iPad and as long as all three devices -- the iPad, the mover, and the selector -- are on the same wireless network, Say Hi! 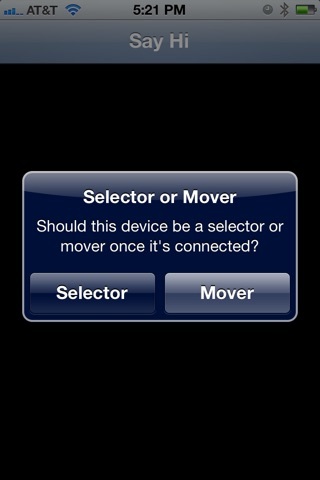 AAC will pair them by prompting you to select which device will act as the "mover" and "selector". Say Hi! AAC was developed by the Gwendolyn Strong Foundation (theGSF), a 501(c)(3) nonprofit organization dedicated to opening the world through technology for those with spinal muscular atrophy (SMA) and other physically challenging conditions. For more information on theGSF or SMA, please visit http://theGSF.org.